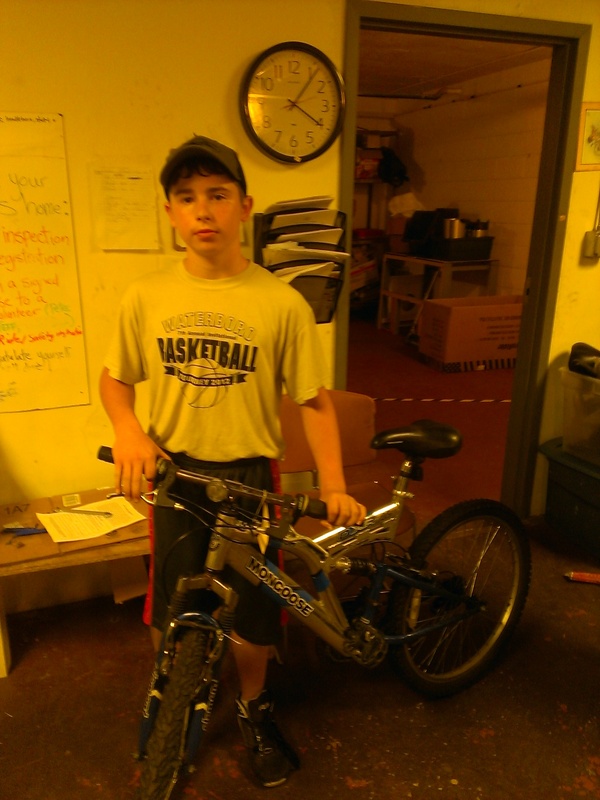 Matthew earned a bike, now he has one of his own! 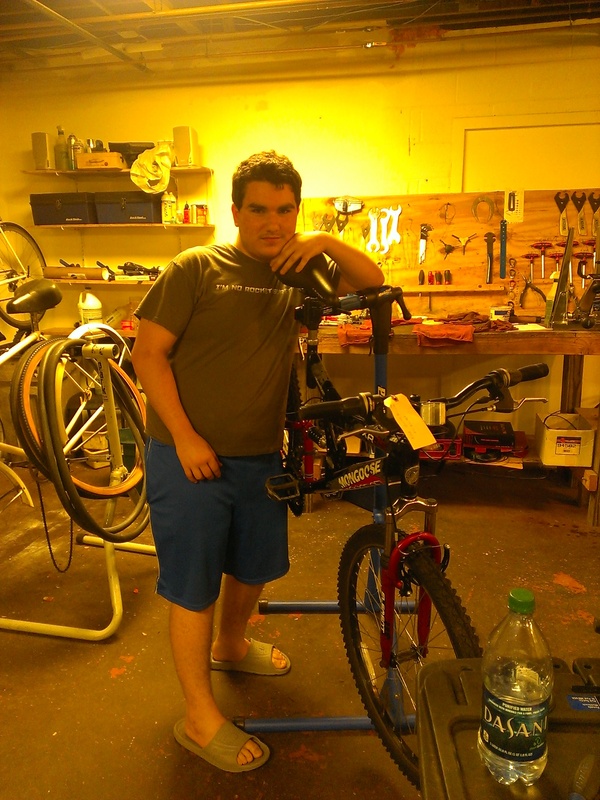 Matthew rebuilt a mountain bike for the community, and then rebuilt one for himself. Congratulations Matthew! Noa has a bike to ride! Noa finished rebuilding this mountain bike last Thursday. Congratulations Noa! Last Wednesday Nasson Bike Center volunteers were at the Sanford YMCA skate park to work on any BMX bikes needing service. We did quick repairs on five bikes before the hit the ramps. Next Wednesday we will be at Carpentier Park at the noon hour to help out bike riders in the neighborhood needing a quick repair. First Parks and Rec Ride a success! 17 girls from the Sanford Girl’s Day Camp took part in our first Nasson Community Bicycle Center-Sanford Parks and Rec. ride. Four volunteers from the Nasson Community Bicycle Center and a counselor from Parks and Rec. guided the girls along the Mousam Way and Rail Trail. Helmets and bikes were furnished by the Nasson Bike Center as needed. Next week is the boy’s turn. Boys from the Parks and Rec. Day Camp at the High School will be riding their own bikes, or bikes furnished by the Nasson Bike Center with volunteers from the Nasson Bike Center and counselors. Lets hope for good weather this week!